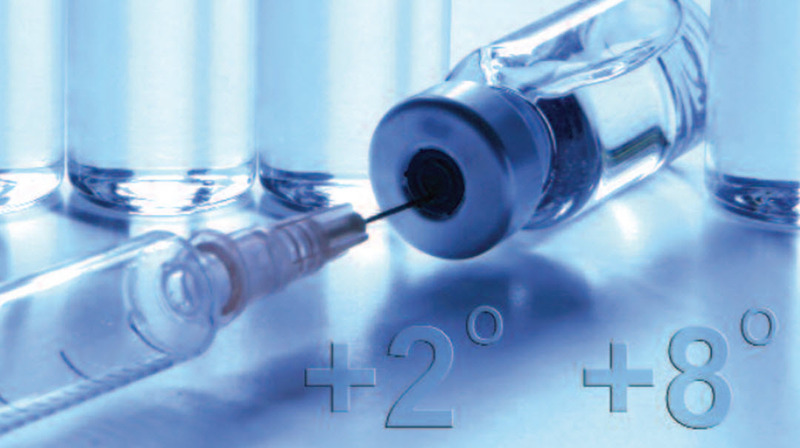 Most vaccines must be maintained at a temperature between +2 degrees and +8 degrees Celsius, from the time the vaccine is manufactured until the time it is administered to the patient. To assure the potency of the vaccines administered to patients, it is important that the “cold chain” must not be broken. The “cold chain” is the continuum of safe handling practices to ensure the vaccines continuously stay within this temperature range. Vaccines should not be stored on the shelves or storage compartments of the door of non-pharmaceutical fridges. The pharmacy fridge should not be overfilled to allow air to circulate around the packages. Vaccines must be stored in their original packaging, which should not touch the sides or back of the fridge. Door opening should be kept to a minimum. Vaccines with the shortest expiry date should be used first. Vaccine stocks should be rotated so that vaccines with shorter expiry dates are at the front of the refrigerator. The maximum and minimum temperatures reached should be monitored and recorded daily. Temperature record logs are best kept close to the refrigerator for ease of reference. The pharmacy fridge should be cleaned regularly with a 1:10 solution of sodium hypochlorite. Vaccines should be stored in another refrigerator or cool box while doing this. Records should be kept of refrigerator maintenance and servicing. 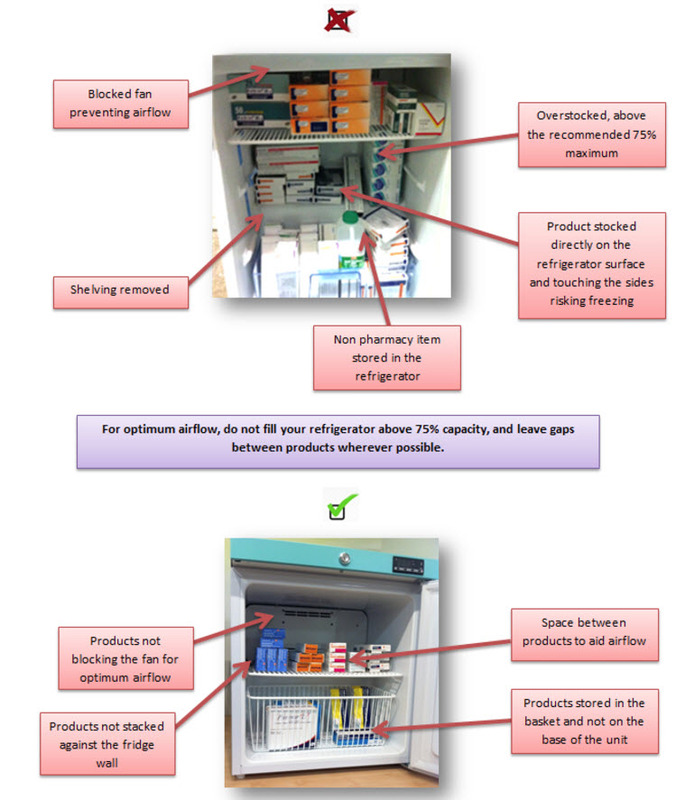 Care should be taken to ensure that the electricity supply to the pharmacy fridge can not be accidentally interrupted. This can be achieved by using a switch-less socket or by placing cautionary notices on plugs and sockets. Food and drink must not be stored in fridges used for vaccines. Does your fridge meet HSE requirements in relation to vaccine cold-chain? Promed can recommend a pharmacy fridge to suit your specific requirements. Please contact us on freephone 1800 619 619 or email info@promed.ie for further details. We install, validate and train customers in the correct use of all fridge models in our range. All our fridges are pharmacy regulation compliant. Fridge alarm checks, temperature and door (where applicable). Promed can recommend a pharmacy fridge to suit your specific requirements. Please contact us on freephone 1800 619 619 or email info@promed.ie for further details.